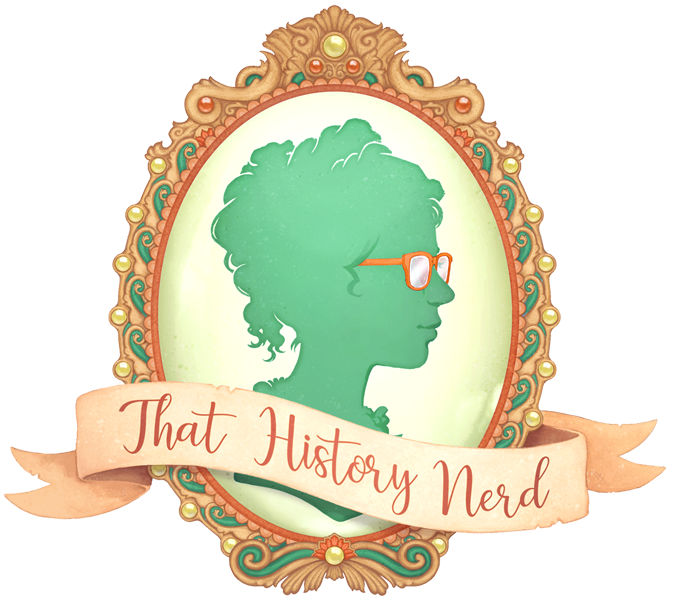 Though armed with only a scant education, Hildegard of Bingen would go on to be the world's first known composer, a prestigious scientist, and a legendary prophetess. A true renaissance woman, it's difficult to know which of her achievements is most influential today. She revolutionized music, wrote medical textbooks used well into the renaissance, and proposed the idea that people, like plants, could inherit traits from their parents--some 700 years before Gregor Mendel did his experiments with pea plants. 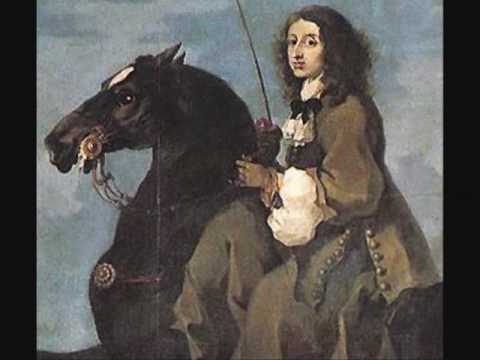 Hildegard was the tenth child of Hiltebert and Mechthild, most likely members of the local nobility. The custom at the time was to give up the tenth child as a nun or monk to the Catholic Church, and as such Hildegard was sent to a Benedictine cloister at Disibodenberg, where she was put into the care of Jutta von Spanheim, a distant relative, and abbess of the cloister. Hildegard suffered from illness as a child, and living in the austere Benedictine cloisters didn't help her. The damp, poor sleep, and lack of food and sunshine saw that Hildegard was bedridden for much of her childhood. In addition to her illness, Hildegard also had visions that she believed were sent from God. She was cautioned by Jutta to keep her visions quiet, and Hildegard did so for most of her life. When Jutta died in 1136, Hildegard succeeded her as prioress. Under Hildegard's leadership, the atmosphere at the cloisters became more relaxed. The sisters were allowed to wear their hair uncovered, and encouraged to step out into the sunshine. Hildegard was still having visions, and five years after being installed as prioress she had a vision so intense that she was prompted to confide it to her mentor, Volmar the Monk. Volmar encouraged Hildegard to record her visions, and with Volmar's help Hildegard began working on her first book, the Liber Scivias. As a visionary, Hildegard had a fine line to walk. She had the challenge of recording what she saw, while not verging into heretical territory. Proposing new religious ideas, while easier for a nun than a common person, was still a risky venture, and could cost Hildegard everything should she be denounced as a heretic. Luckily for Hildegard, her visions were accepted by the pope of the time, and she was encouraged to keep writing. 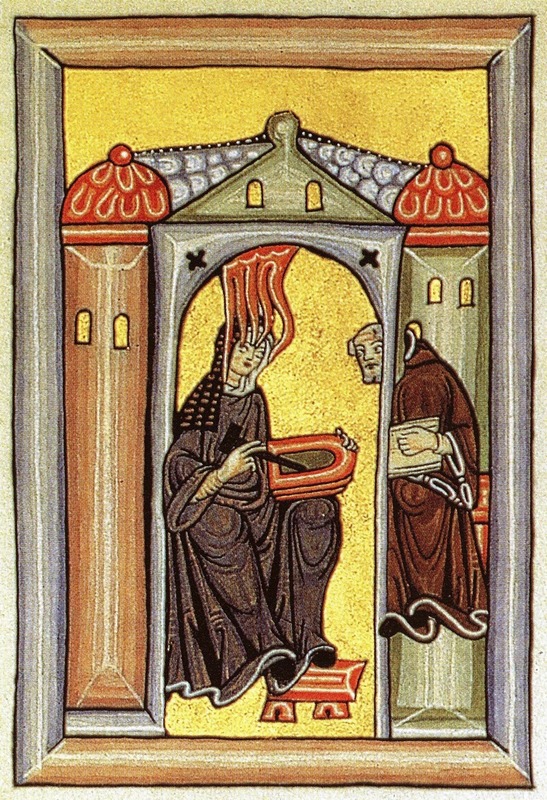 Hildegard began to build up a reputation as a mystic. Her study of local medicinal methods saw her praised as a great healer, and she composed music for her nuns to sing. 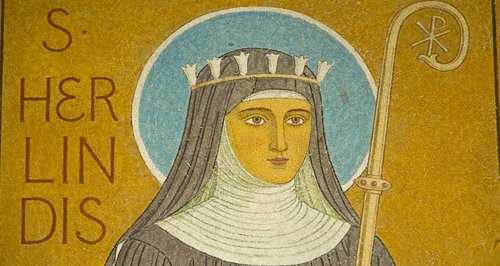 In 1150 Hildegard founded the convent of Mount St. Rupert in an effort to get away from the hoards of people who made pilgrimages to see her. Taking Volmar as well as a few sisters and novitiates with her, Hildegard started writing in earnest. Because her education had been scant and interrupted, Hildegard relied on Volmar to help her with the actual physical writing. Her exact process is unknown, but it is speculated that Hildegard either wrote everything out on a wax tablet, and then Volmar put it to parchment, or that Hildegard simply dictated to Volmar. After the initial putting of words to paper, Volmar had his monks make copies of Hildegard's words. Though it took ten years, the Liber Scivias was finished in 1158. The Liber Scivias was disseminated throughout the Catholic countries, and Hildegard began working on her next book of visions, the Liber Vitae Meritorum. The visions contained in her books pertained to the workings of the universe, and how the earth, air, sun, moon, and stars were all connected. In addition to her books of visions, Hildegard also began working on medical textbook, which put forth the idea that boiling drinking water was a good move. In addition to her writing, Hildegard also traveled Europe preaching pacifism, and promoting orthodox religious ideals. She founded another convent, and corresponded with hundreds of people from all across Europe, including kings and popes. She was so well loved that when she died at age 81 she was immediately dubbed 'St. Hildegard', though she was not formerly canonized until 2012. Hildegard is best known today for her music, but her religious and medical writings have seen an increase in popularity in recent years too. Several biographies and novels have been written about her, and her song cycles have been recorded hundreds of times by classical vocalists. She is much beloved in the Catholic church, and the convent that she established still stands today.